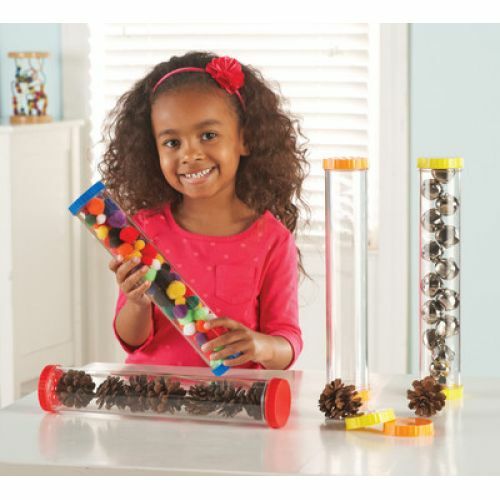 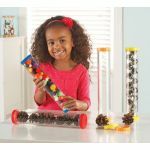 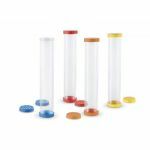 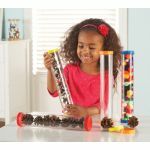 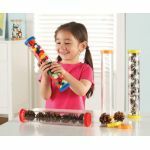 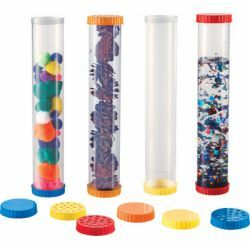 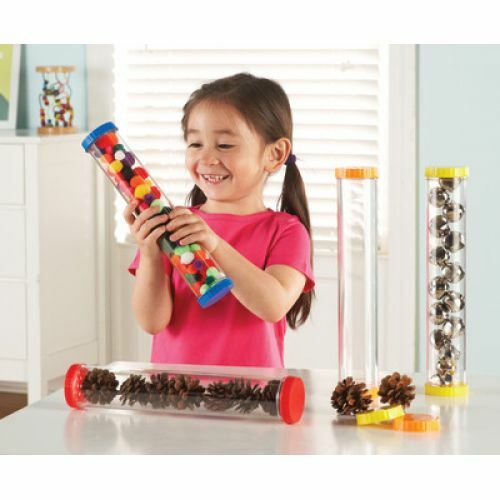 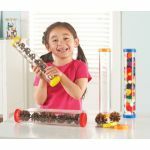 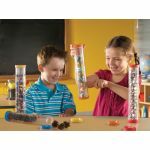 Develop their senses and encourage science exploration with this set of 4 sturdy, clear tubes. Tubes feature dual openings. 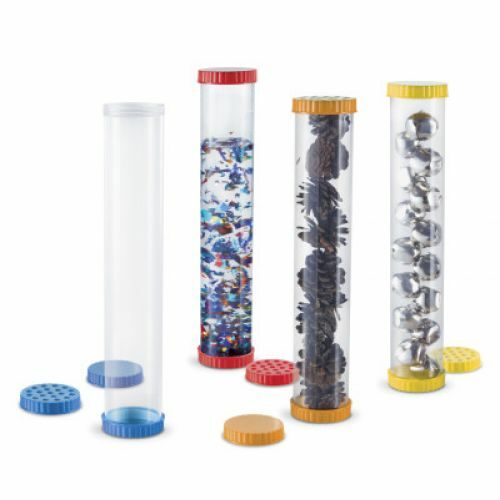 Vented lids let children explore their sense of smell or secure small creatures for observation. Lids twist on and off. 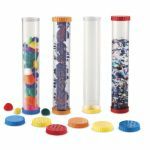 Solid lids hold liquid securely inside.